Controversial Marketing Campaigns – Are they worth it? When it comes to advertising, more and more companies are having trouble finding unique ways to market themselves. Many popular ideas have already been overused, and others are not guaranteed to capture the audience and sell the product. Because of the oversaturation of advertisements in today’s world, it’s important that companies looking to really make their mark do so with unique advertisements that catch the attention of those who see them. 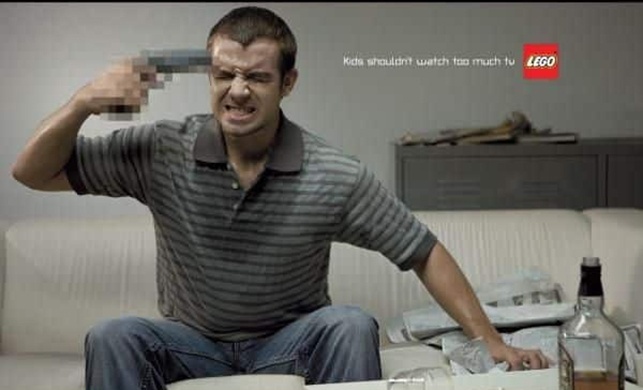 A growing way to make this happen is through the use of controversial marketing campaigns – ads that will either get a laugh or make people angry. Controversial marketing campaigns are typically high risk, high reward, as they have the capability to define a brand based on their reception. Whether or not the public agrees with the premise of a controversial ad, it’s sure to get coverage on the news and shared on social media, helping to expand its reach. In some cases, this gamble pays off wildly, leading to huge success as a result of the marketing campaign’s reach. However, these tactics can backfire, pushing companies into lawsuits for which they hadn’t planned. Many leaders in marketing have their own opinions on the validity of using controversial advertising to their benefit, but from an objective standpoint, there are several clear positives and negatives to using such types of marketing campaigns. The type of ad being done often defines what its outcome will be. Some marketing campaigns go too over the top, completely turning potential new customers off to their product. However, some companies hit a sweet spot between controversial and humorous with their ads, often making them wildly successful. An example of a controversial marketing campaign that saw great success is a recent ad done by the University of Moncton, who aired an ad that showed two college kids kissing fervently in the school’s library. Not many expected such a bold move from a University, as many would expect their ad to promote their academic or athletic opportunities. While many consider the ad offensive, many others thought the idea was a genius, and the clip was nominated for the very first Kiara Academic Award in the Recruitment Video of the Year category. While many of the schools’ staff disagreed with the premise of the commercial, it is credited with a 22 percent boost in enrollment in the year following its first air date, showing that it had an immensely positive impact on the school. Yes, this is a real ad for Lego. Controversial marketing campaigns are typically high risk, high reward, as they have the capability to define a brand based on their reception. Whether or not the public agrees with the premise of a controversial ad, it’s sure to get coverage on the news and shared on social media, helping to expand its reach. In some cases, this gamble pays off wildly, leading to huge success as a result of the marketing campaign’s reach. However, these tactics can backfire, pushing companies into lawsuits for which they hadn’t planned. Many leaders in marketing have their own opinions on the validity of using controversial advertising to their benefit, but from an objective standpoint there are several clear positives and negatives to using such types of marketing campaigns. The type of ad being done often defines what its outcome will be. Some marketing campaigns go too over the top, completely turning potential new customers off to their product. However, some companies hit a sweet spot between controversial and humorous with their ads, often making them wildly successful. An example of a controversial marketing campaign that saw great success is a recent ad done by the University of Moncton, who aired an ad that showed two college kids kissing fervently in the school’s library. Not many expected such a bold move from a University, as many would expect their ad to promote their academic or athletic opportunities. While many consider the ad offensive, many others thought the idea was genius, and the clip was nominated for the very first Kiara Academic Award in the Recruitment Video of the Year category. While many of the schools’ staff disagreed with the premise of the commercial, it is credited with a 22 percent boost in enrollment in the year following its first air date, showing that it had immense positive impact on the school. While many businesses find success with advertising campaigns such as those done by the University of Moncton, some others miss the mark. Car brand Toyota was sued in 2009 due to a controversial email campaign aimed at scaring its audience. Essentially, people were tricked into signing up for a week of terrifying emails depicting a supposed criminal with the new Toyota Matrix, in an attempt to get the car exposure. This backfired, and Toyota was sued $10 million by a consumer who didn’t think the prank was funny, but rather felt scared for her life. While some controversial marketing campaigns go over the top and lead to negative results, the majority of those that are done tastefully receive very positive feedback and results. Although the chance of backlash exists when running a controversial advertisement, the reward is typically far greater (and more likely) than the risk, meaning that such types of marketing are likely here to stay.